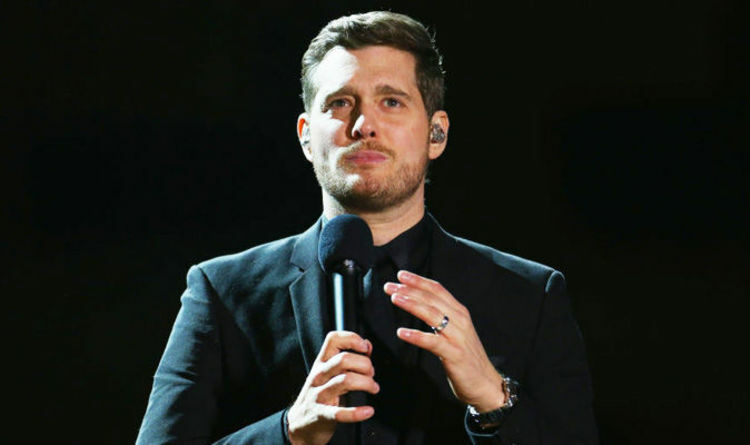 News about Bublé’s son Noah’s cancer battle broke two years ago when the singer suddenly pulled out as the host of the 2017 BRIT Awards. The superstar has barely been seen in public since then, focussing on his family. It seems he has also been on a life-changing personal journey which forced him to recognise he had been unhappy with his life and career even before Noah’s diagnosis. Despite chart-topping albums, sell-out tours and the adulation of millions of fans, Bublé realised he was crippled with self-doubt and the constant fear of not being good enough, convinced it would all be taken away from him. The star decided to make some major changes. He said: “I don’t have the stomach for it any more… The celebrity narcissism. I started to crumble. But then I started to wonder why I wanted to do this in the first place. Bublé says he concentrated on his family and nothing else. Married to Argentinian model and actress Luisana Lopilato for seven years, the pair have three children, sons Noah, five, and Elias, two, and new baby daughter Vida Amber Betty, who is 11 weeks old. Noah is now in remission and Buble rediscovered the joy of making music simply for the music, freed from all his previous doubts and worries. He said: “Now I’m just singing the music I love. Maybe when you let go, maybe that’s when it comes back to you. Like love. But then the superstar dropped a huge bombshell. Only time will tell if he is serious, but it is clear Bublé is a changed man.